With just three weeks left in the regular season, the race for the NFL playoffs is officially in full swing. In the NFC, the postseason landscape was blown wide open after the Philadelphia Eagles’ star quarterback Carson Wentz’s season-ending knee injury. The Los Angeles Rams, the Minnesota Vikings, or whoever comes out of an extremely crowded NFC South could easily contend to be the conference’s representative in the Super Bowl this year. 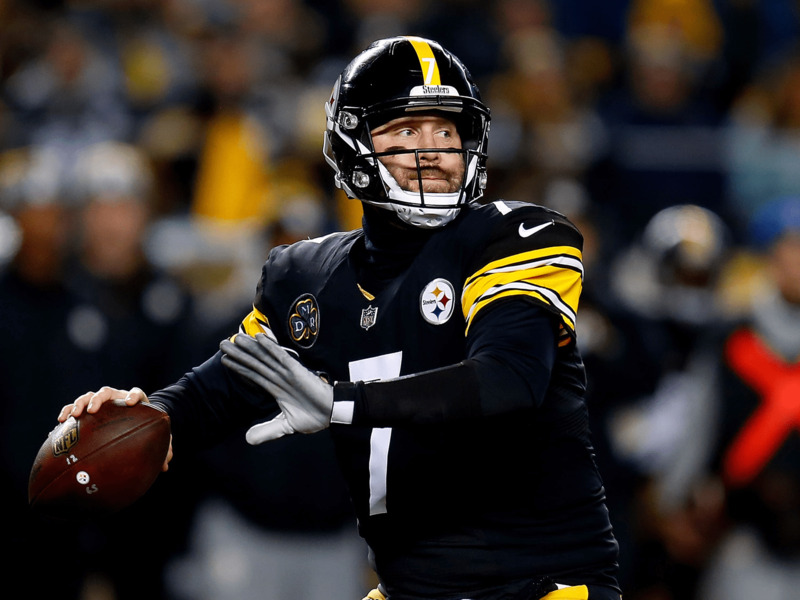 On the other side of the league, the Pittsburgh Steelers and New England Patriots stand out as the cream of the crop, and their meeting next week could very well serve as a preview of this year’s AFC Championship game. Meanwhile, the AFC West is still completely up for grabs, as is the final Wild Card spot. Have a look below and see where each team ranks going into Week 15. 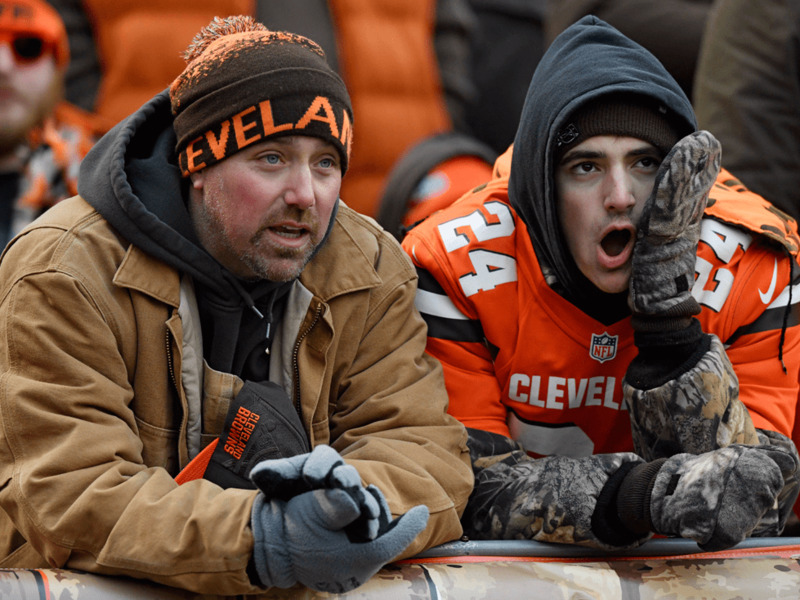 One thing to know: The Cleveland Browns looked well on their way to their first win of the season on Sunday, only to give up 20 unanswered points in the final minutes against the Packers to lose in overtime in front of a disappointed home crowd. In the only bright spot of the day, Josh Gordon looked dominant in the few opportunities DeShone Kizer gave him with the ball. 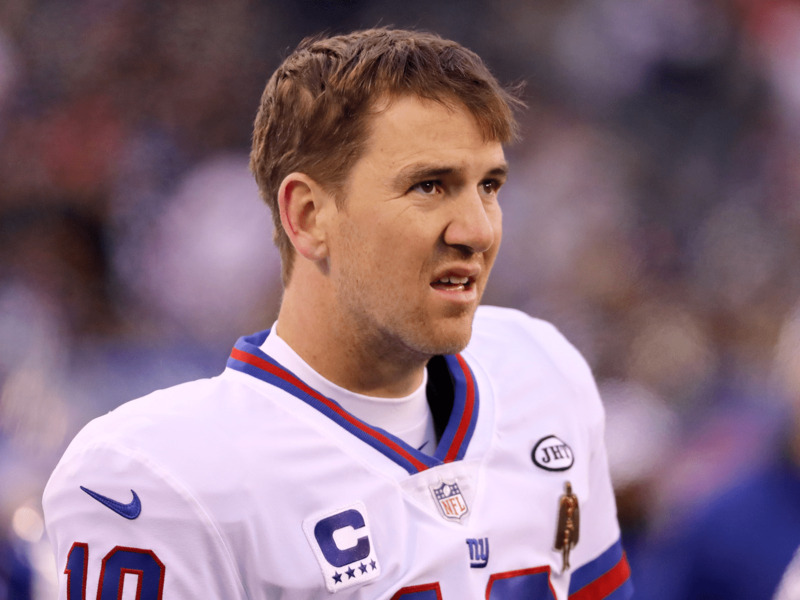 One thing to know: Eli Manning’s return didn’t inspire much confidence, and now some like ESPN’s Jordan Raanan are wondering if it’s time to bench Manning and see what rookie quarterback Davis Webb has. One thing to know: The Colts lost in dramatic fashion to the Bills in one of the wildest snow games in recent NFL memory. 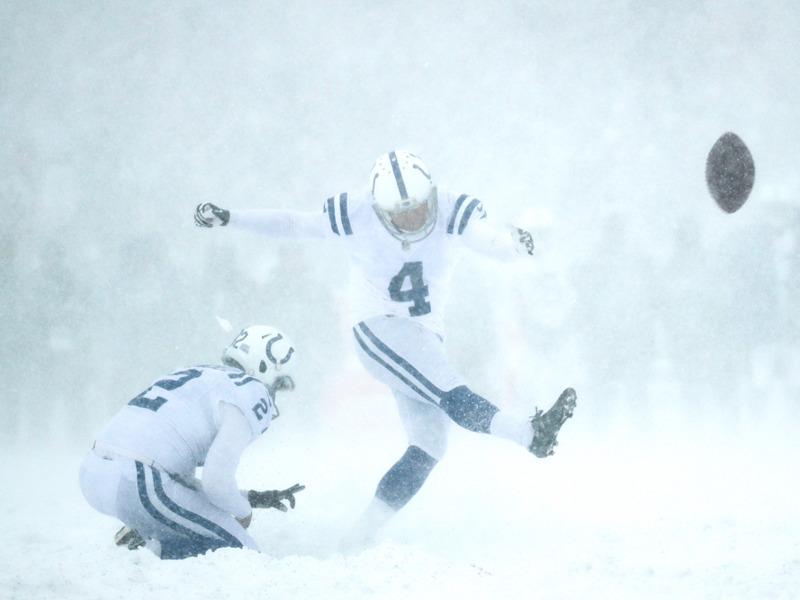 While the Colts came up short, kicker Adam Vinatieri hit one of the most impressive extra points you’ll ever see to force overtime in the white out. 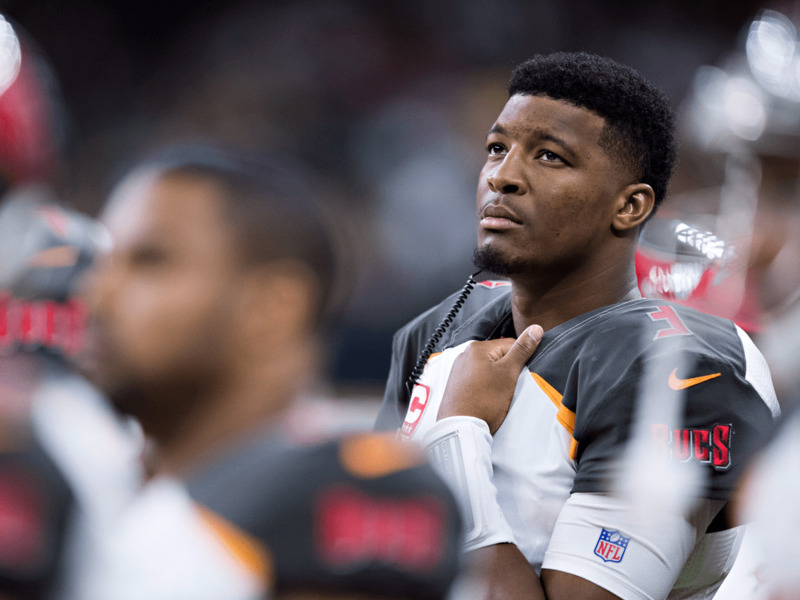 One thing to know: A report from the NFL Network said Bucs coach Dirk Koetter and Jameis Winston’s relationship is “not in a great place.” Both men denied it on Sunday, but clearly, the Bucs need to consider changes heading into the offseason. 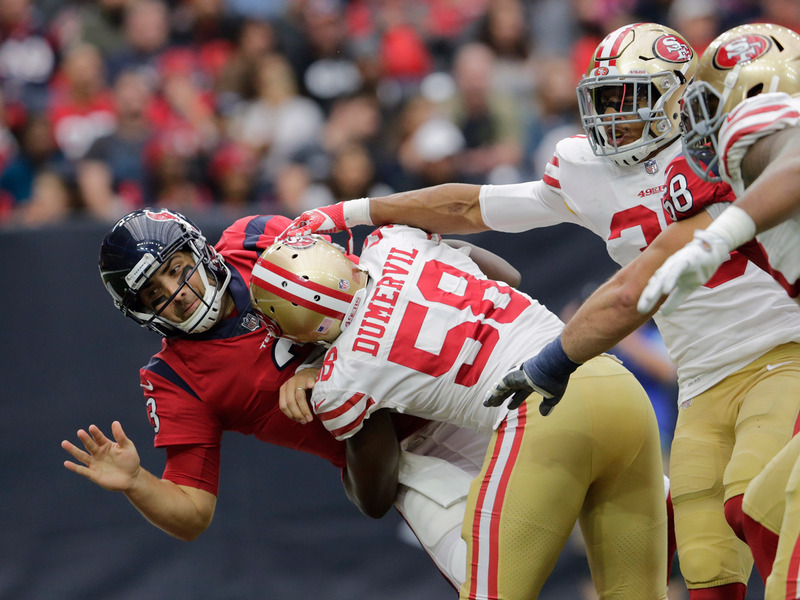 One thing to know: Houston quarterback Tom Savage went down with a scary-looking hit against the 49ers. He returned to the game for a series before being ruled out of the game with a concussion, reigniting criticism of the NFL’s concussion protocol. T.J. Yates was left to take over for the Texans. One thing to know: The Broncos got their first win since Week 4 (!) by shutting out the Jets. It was just the fourth time all season Denver has scored more than 20 points. 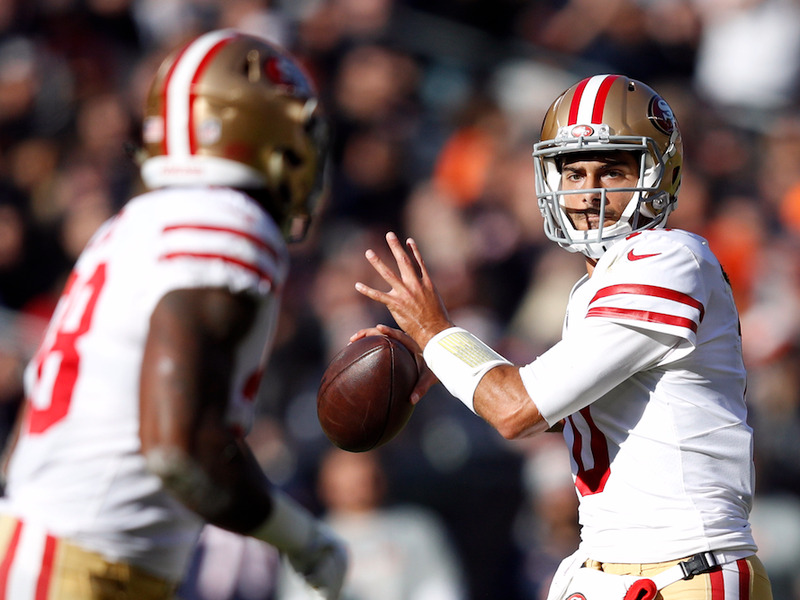 One thing to know: Don’t look now, but Jimmy Garoppolo is undefeated as the 49ers’ starter, and clearly has a great relationship with wide receiver Marquise Goodwin, who had 12 targets, six catches, and 106 yards in the Niners upset win over the Texans. 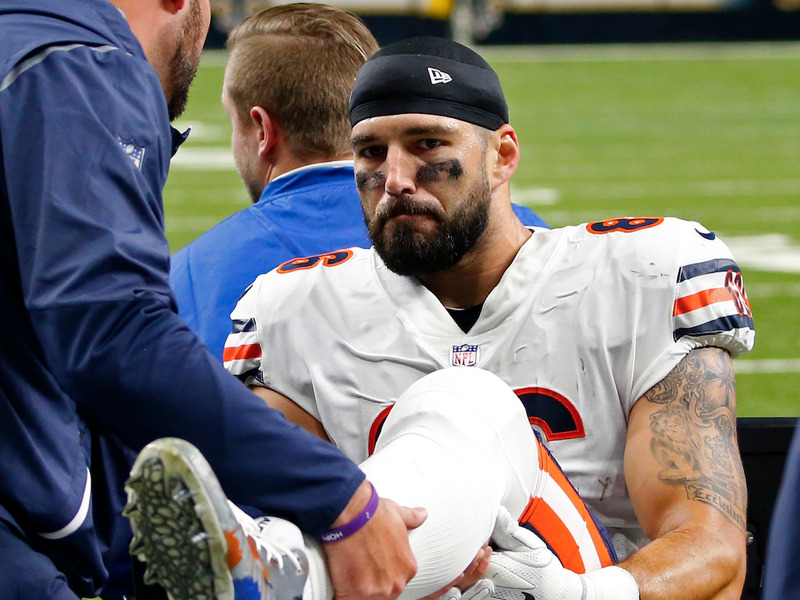 One thing to know: Bears tight end Zach Miller said recently his leg was close to being amputated after a gruesome injury in October. He said he’s not yet thinking about whether he’ll return to football. 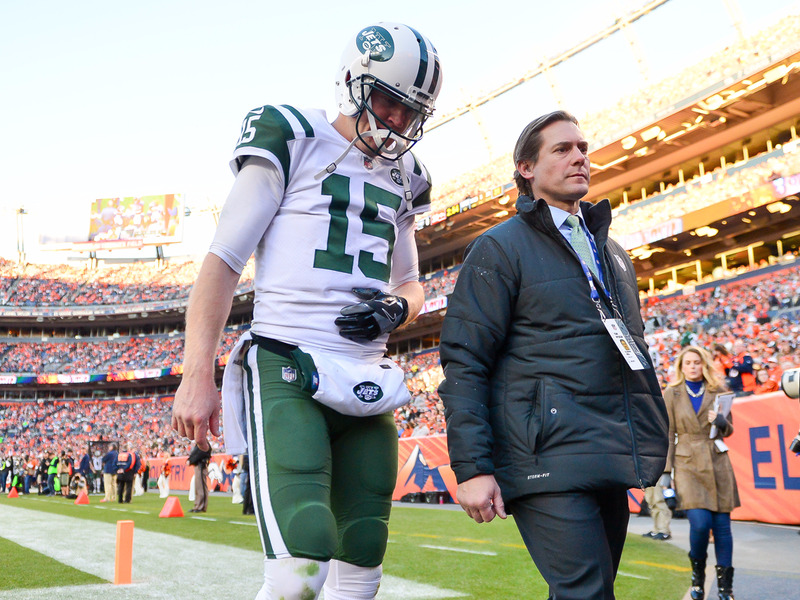 One thing to know: Josh McCown is 38 years old and with his 10th NFL team. He was having a the best year of his long, journeyman career in 2017, making his season-ending injury all the more disappointing. Bryce Petty has taken over the starting role for the Jets. 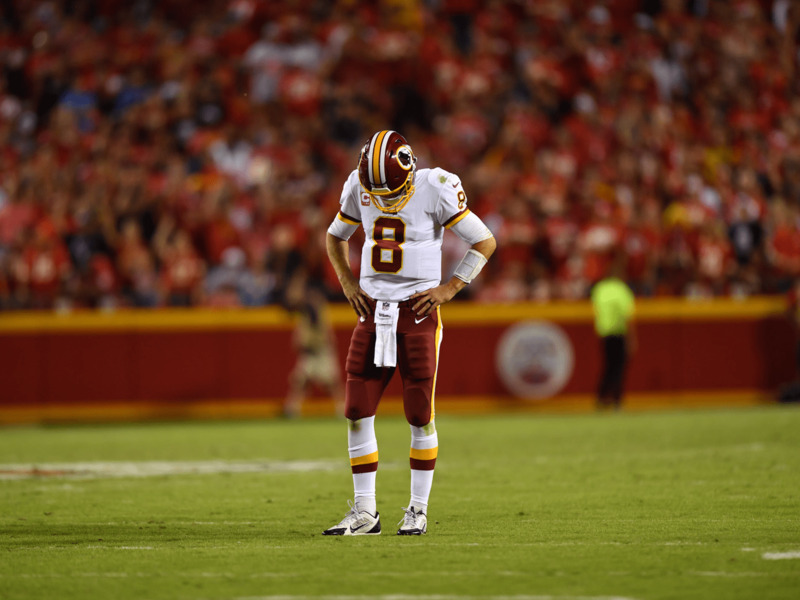 One thing to know: Head coach Jay Gruden said Kirk Cousins hasn’t been as accurate this season — Cousins’ completion percentage has fallen from 69.8% in 2015 to 67% last year to 65.9% this year. Not the finest way to audition for a possibly career-changing free agency. 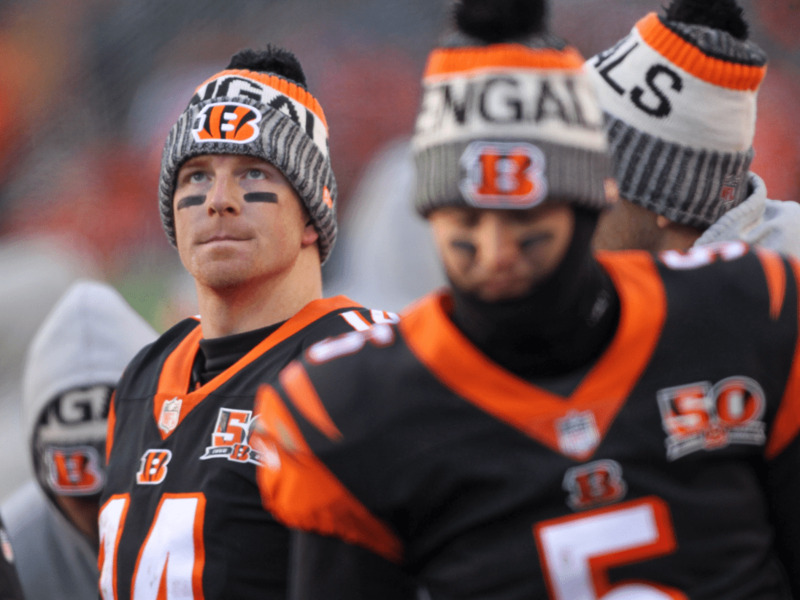 One thing to know: After an uneven performance on Sunday, Andy Dalton was replaced by A.J. McCarron with just over four minutes left in the Bengals’ game against the Bears. With McCarron due to become a free agent next season, there’s a chance he gets more time in the coming weeks as the Bengals attempt to see what they have in him. 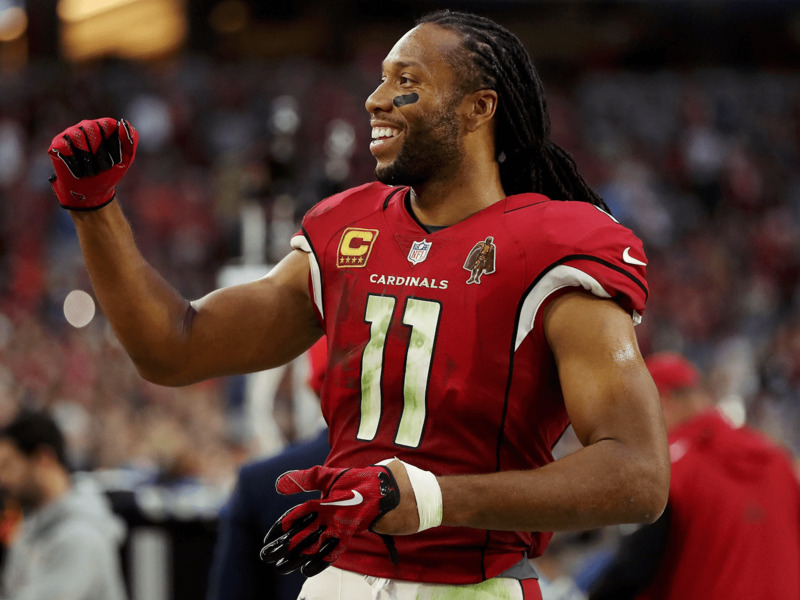 One thing to know: Larry Fitzgerald moved into third place all-time in receiving yards. He wouldn’t commit to playing next year and said he hopes to pass Terrell Owens for No. 2 this year. He needs 623 more yards to do so. 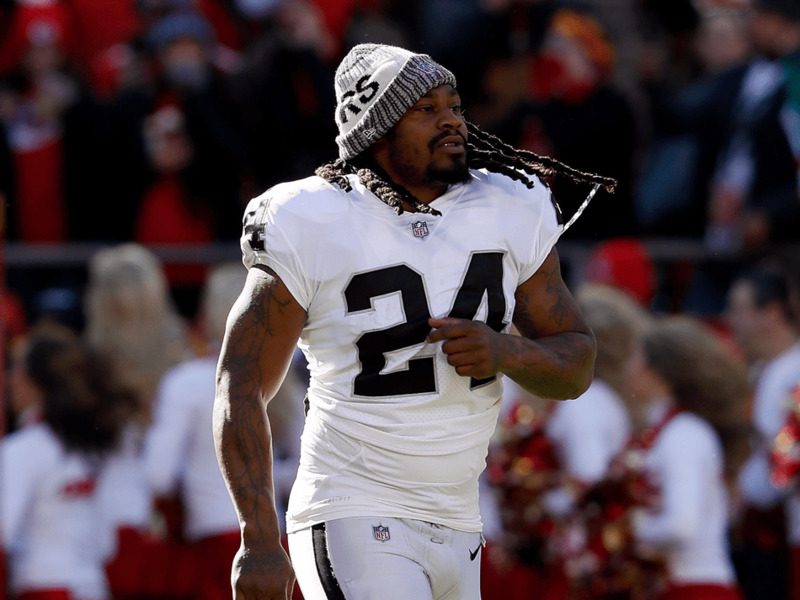 One thing to know: Despite the Raiders’ loss, they still have an outside shot at the postseason if they can recapture some of the offensive magic that propelled the team to 12-4 last year. With contests against the Cowboys, Eagles, and Chargers remaining, it will be a tough slate to run the table against. 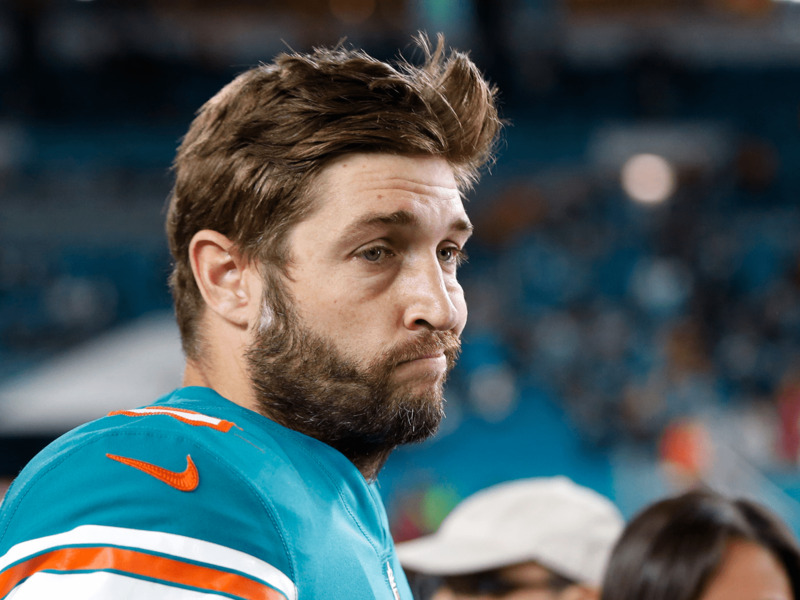 One thing to know: The Dolphins kept their season alive with a big and surprising win over the Patriots. They still have a shot at the playoffs if they win out, beating the Bills twice and the Chiefs in the process. 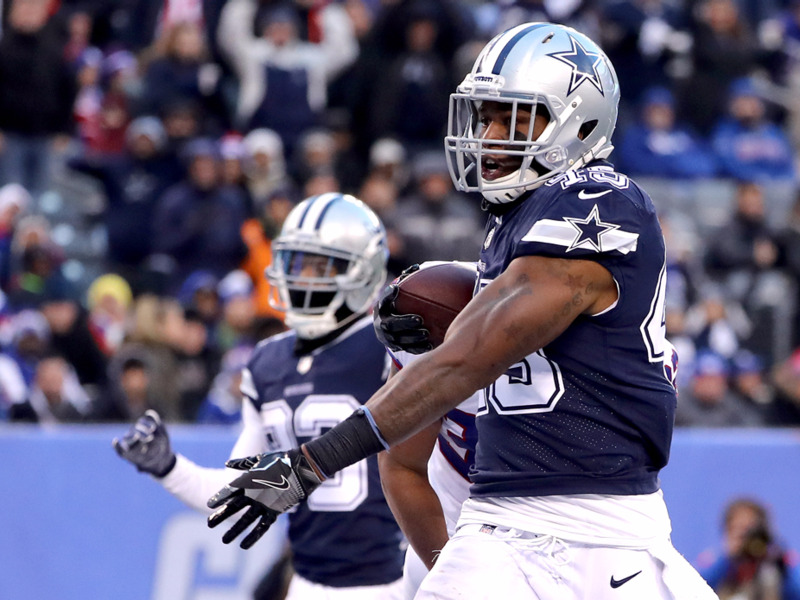 One thing to know: The Cowboys have finally gotten their offense going without star running back Ezekiel Elliott, and will need three straight wins in order to give themselves a shot a winning a Wild Card spot. With Elliott due back from suspension in Week 16, this is the last game they’ll play without him, and all of a sudden Dallas could be a terrifying playoff matchup for an unlucky division winner. 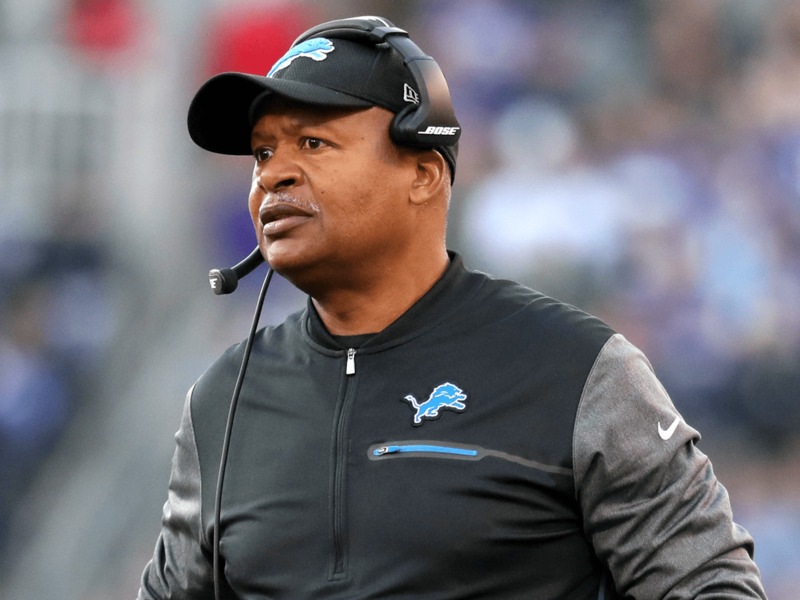 One thing to know: The Lions are in the playoff race, but how sure are we that they’re a true contender? They have just two wins over teams currently above .500 — the Packers (without Aaron Rodgers) and the Vikings in Week 4. One thing to know: Aaron Rodgers is eligible to return this week should the Packers choose to start their star quarterback. But Green Bay needs to win three straight games against tough opponents in order to have a chance at making the postseason. Some think it might be more prudent to let Rodgers get 100% healthy before he takes the field again. 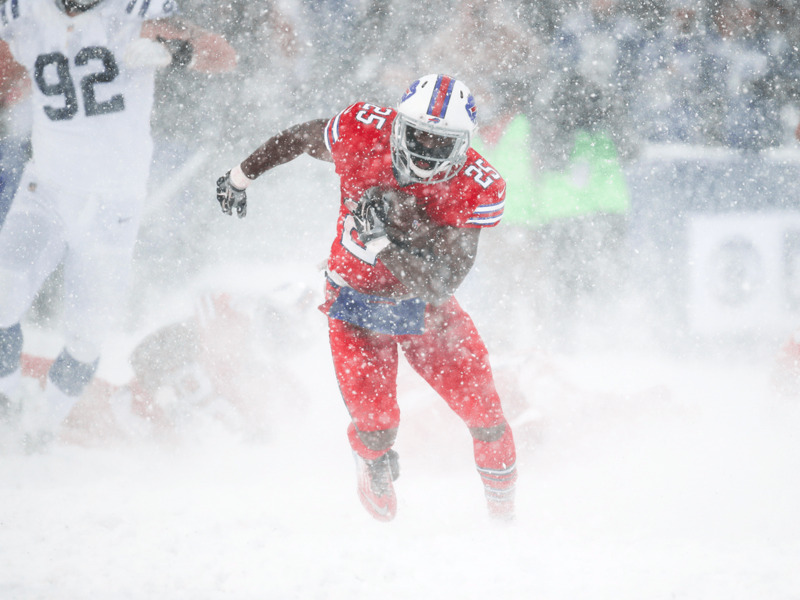 One thing to know: LeSean McCoy delivered the game-winning touchdown for the Bills in the “Snow Bowl,” continuing a history of strong performances in the snow. 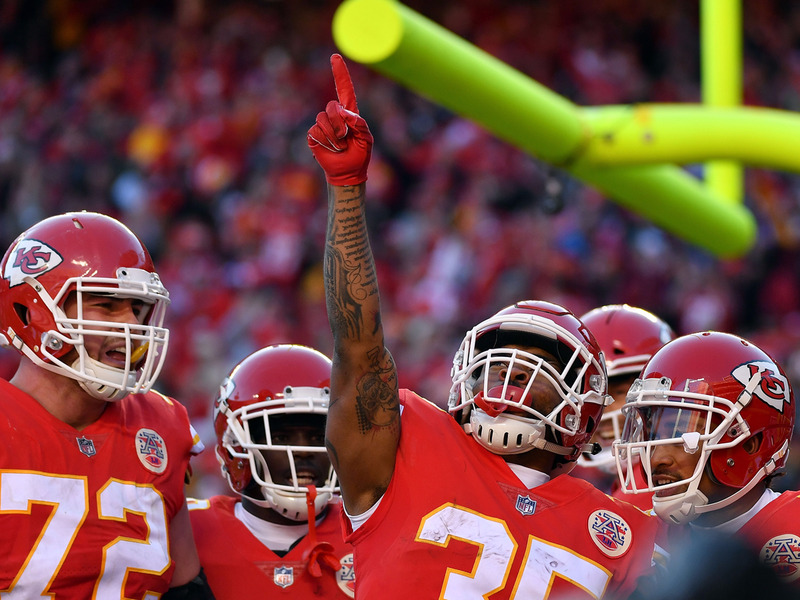 One thing to know: After blowing what seemed like an untouchable division lead, the Chiefs now have two intra-division games left on their schedule that will likely determine the fate of their season, none more important than Saturday’s matchup against the Chargers. 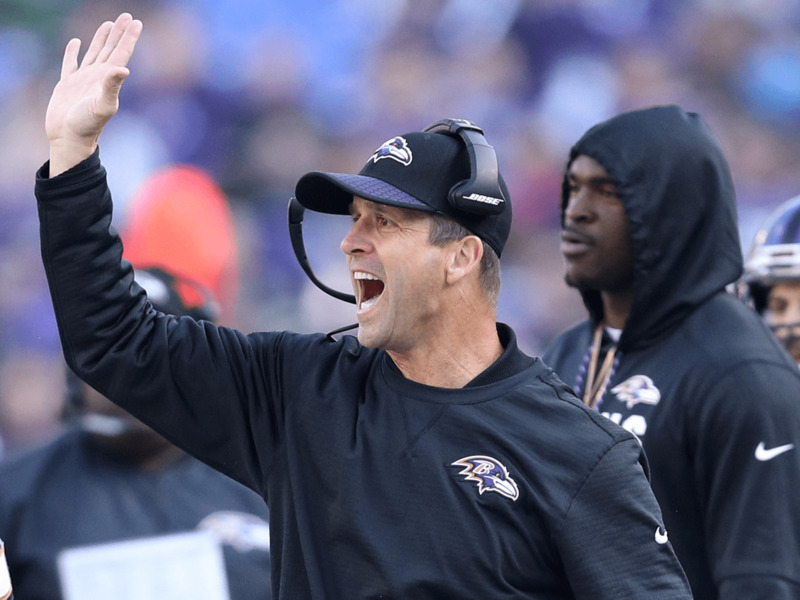 One thing to know: Despite blowing a lead to the Steelers in Week 14, the Ravens have a comfy path to the playoffs — their final three games come against teams with a combined 8-31 record. 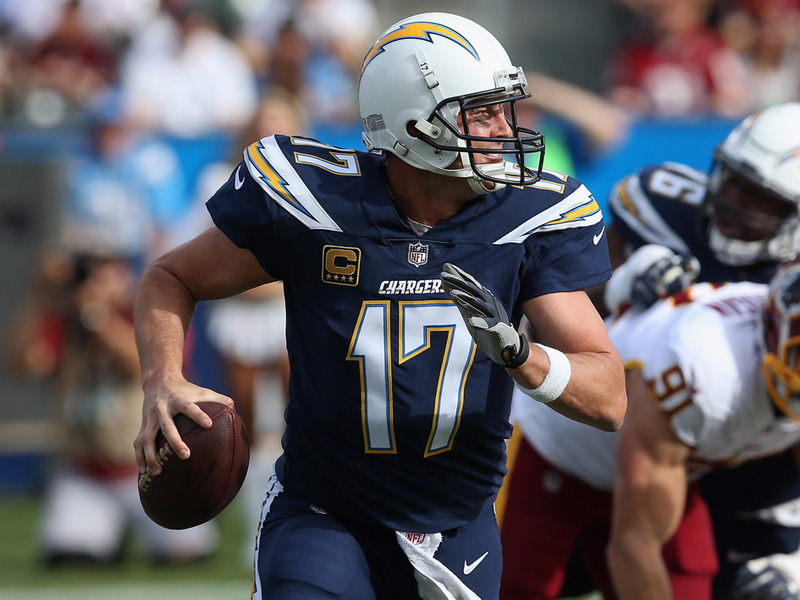 One thing to know: If the Chargers beat the Chiefs on Saturday, they would jump from a 34% chance to make the postseason to a 73%, according to FiveThirtyEight. That makes it the most important game of their season by far. When the teams met back in Week 3, Los Angeles fell to the Chiefs 24-10. 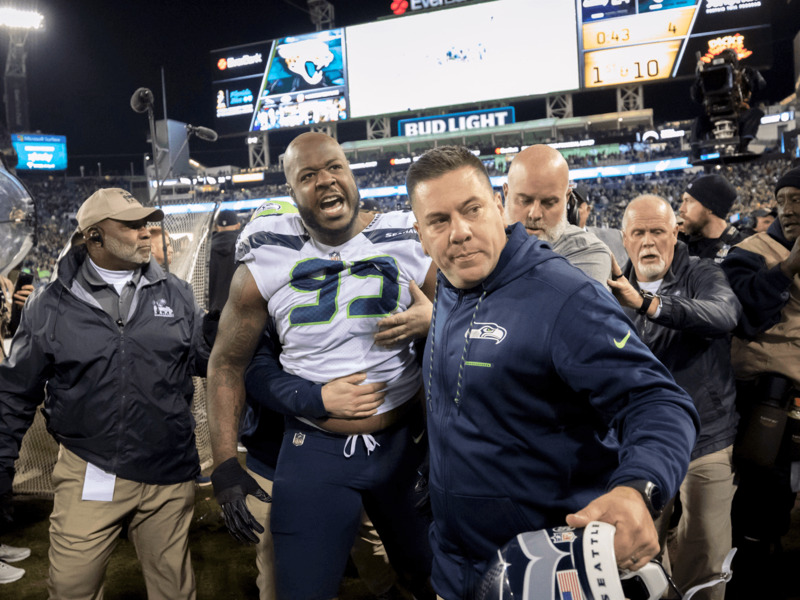 One thing to know: The Seahawks’ ugly loss to the Jaguars ended even uglier, as defensive tackle Quinton Jefferson tried charging into the stands to fight fans who threw something at him. 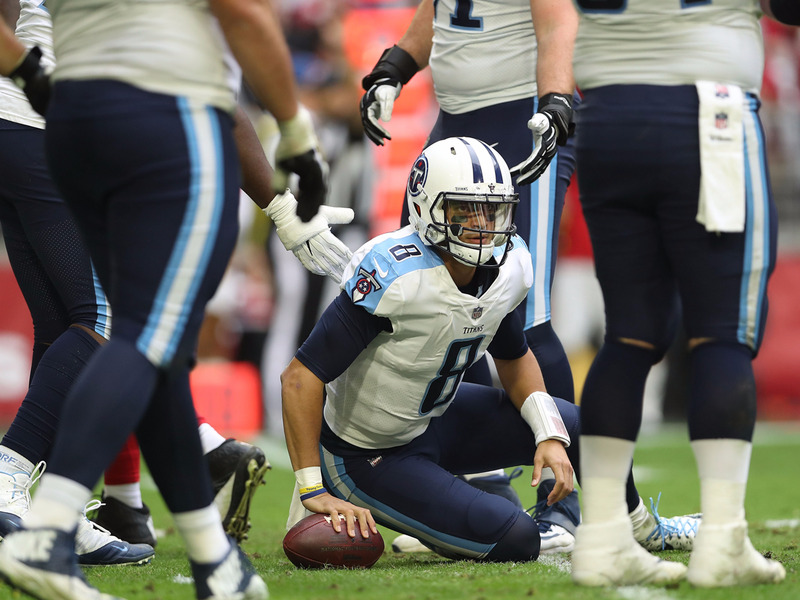 One thing to know: The Titans remain an enigma, but are still in a good position to make the playoffs thanks to how crowded the AFC playoff picture is — they could lose out and still make it to Wild Card weekend. That said, Marcus Mariota and company has to start playing good football now if they hope to have a chance when the important games come around. 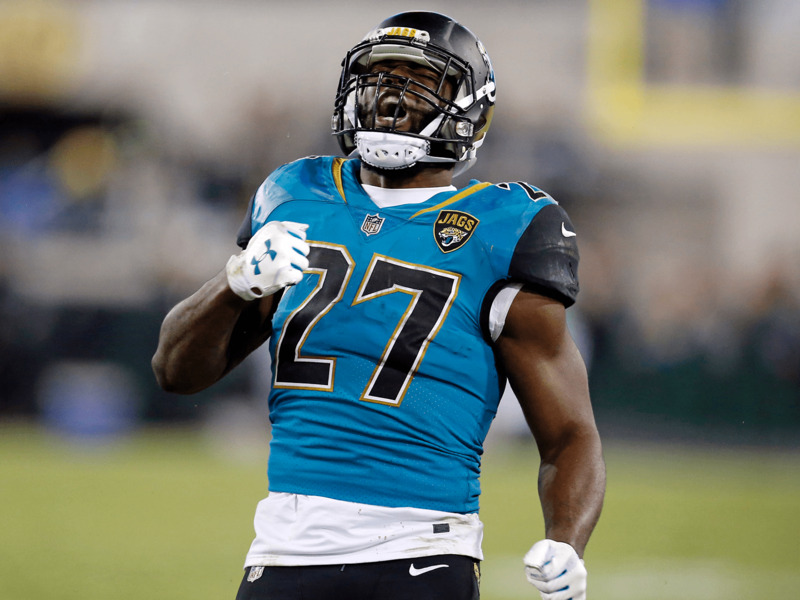 One thing to know: The Jaguars — yes, the Jaguars — could potentially secure a top-two seed in the AFC if they win in Week 15 and if the Steelers beat the Patriots. That would give them a better conference record than the Patriots, the tiebreaker for non-division teams. One thing to know: The NFC South is extremely crowded right now, with the Falcons, Saints, and Panthers all fighting for both the division title and security in the race for an NFC Wild Card spot. 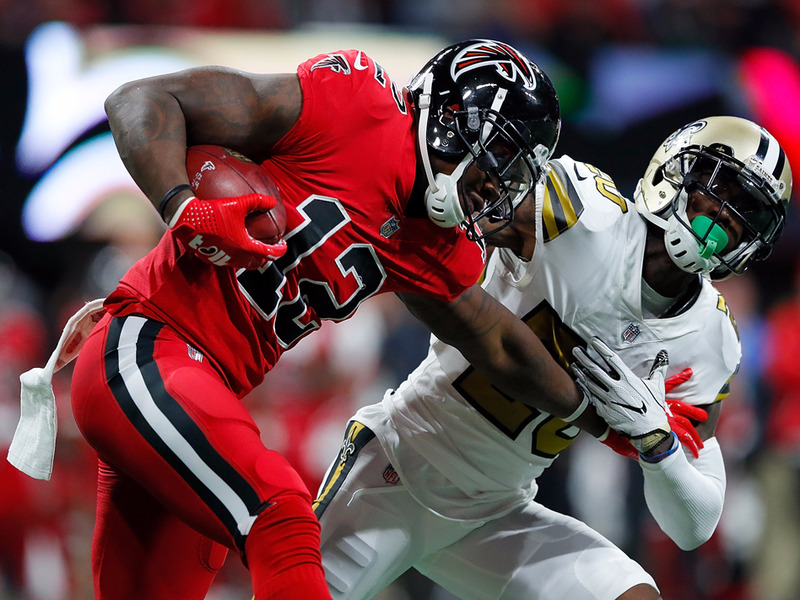 With mutual matchups being so key to final standings, the Falcons win over the Saints will likely look even more crucial as the season nears its end. 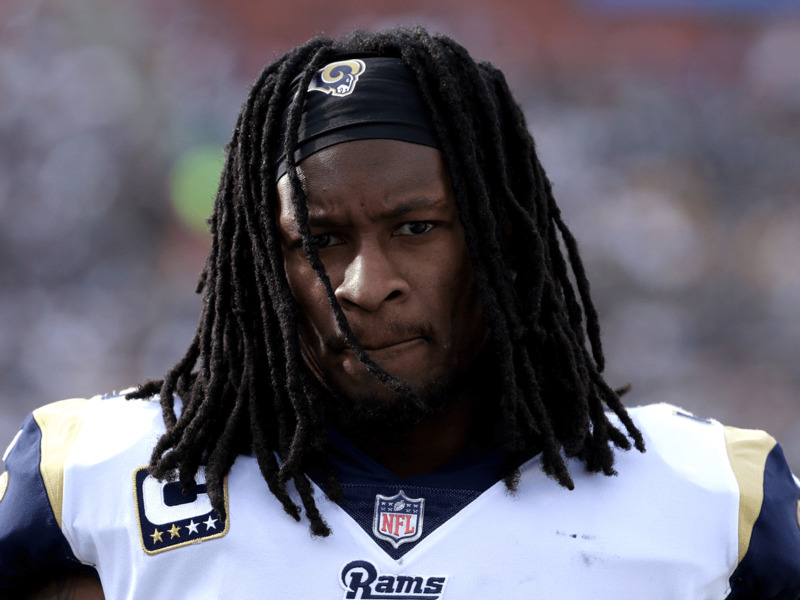 One thing to know: As ESPN’s Alden Gonzalez noted, the Rams are 7-0 when Todd Gurley carries the ball 20 times or more and 2-4 when he receives 20 or fewer carries. Some of that may have to do with game script, but it also shows how important Gurley can be to the Rams’ offensive attack. 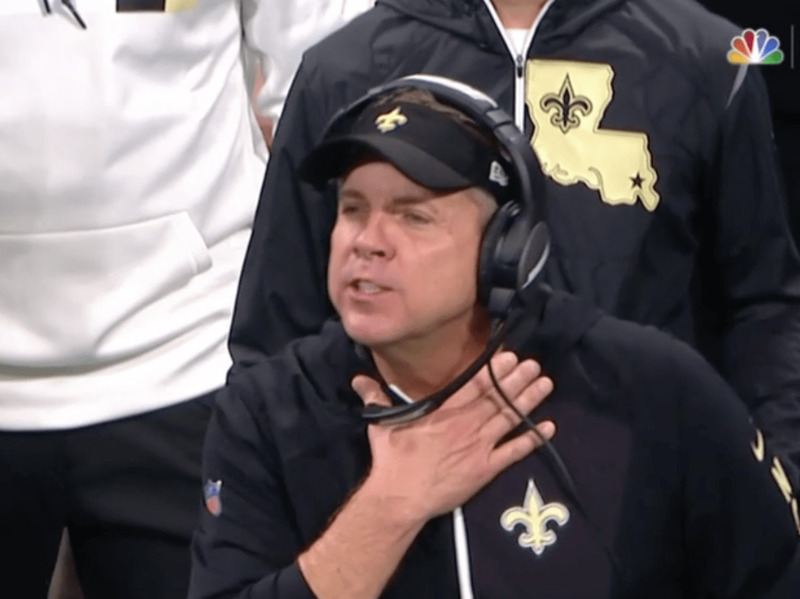 One thing to know: Saints’ head coach Sean Payton received criticism after New Orleans’ Thursday night game against the Falcons for making a “choking” gesture at Falcons’ running back Devonta Freeman. Ironically enough, it was Payton who would choke the game away, drawing an unsportsmanlike conduct penalty in the game’s final moments that sealed the win for Atlanta. 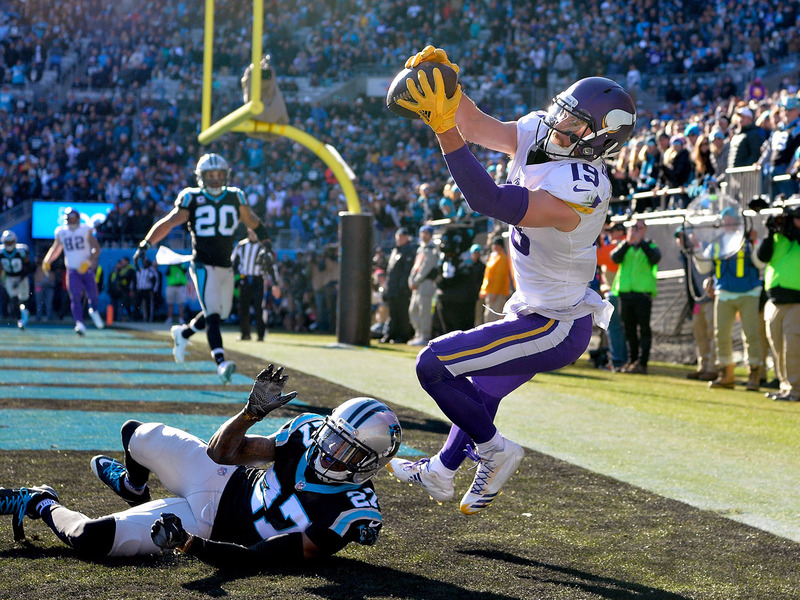 One thing to know: The Panthers are playing well when it matters, winning five of their last six games, including halting the Vikings’ eight-game win streak in Week 14. 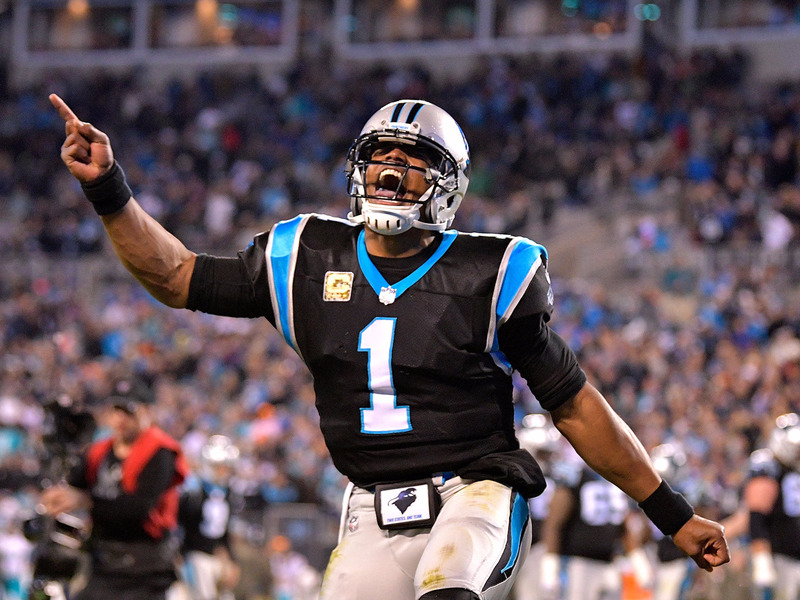 Suddenly, with Carson Wentz out for the season, the Panthers look like one of the NFC’s scariest and most established teams. 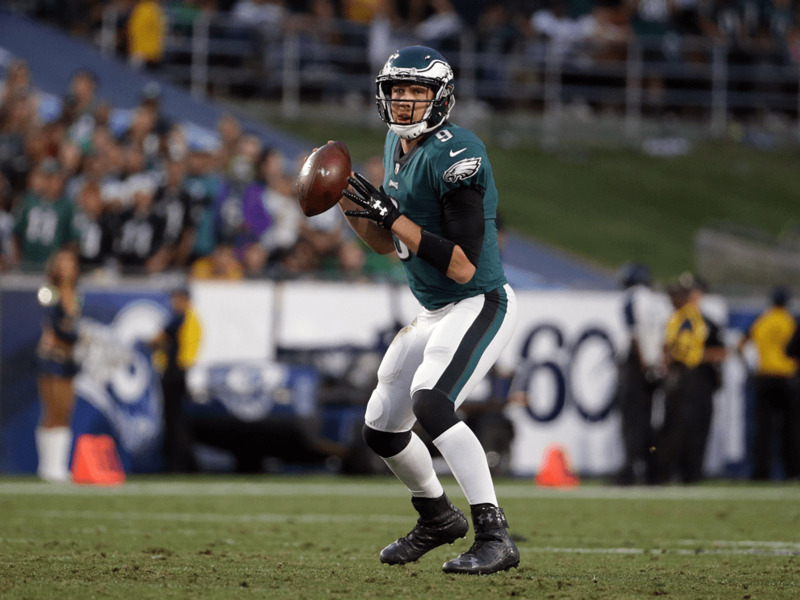 One thing to know: With the loss of star quarterback Carson Wentz in the midst of what many thought to be an MVP-caliber season, the Eagles are left to rely on Nick Foles to take them to the promised land. While Foles is one of the best backup options in the NFL, Wentz’s injury did lead some Eagles fans to speculate that Colin Kaepernick might be a good fit to fill out Philadelphia’s current need for QB depth. 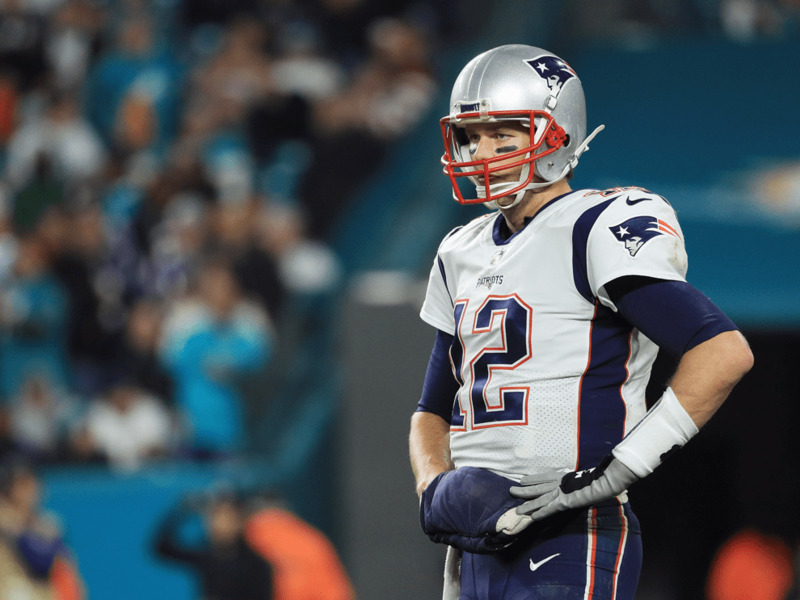 One thing to know: The Patriots loss to the Dolphins on Monday night was shocking to some, but for others that know the teams’ history it came as no surprise — New England has actually lost outright to the Dolphins in four of their last five meetings in Miami. With that in mind, this is little more than an annual divisional slip-up on the part of the Patriots, who are still a favorite to take home another Super Bowl. One thing to know: There’s some concern about the way the Steelers are winning of late, having come back from deficits in four of their last five wins during their eight-game winning streak. Ben Roethlisberger has thrown 18 touchdowns to six interceptions since his five-interception disaster against the Jaguars, the Steelers’ last loss.